Thinking skills: Proplem solving. 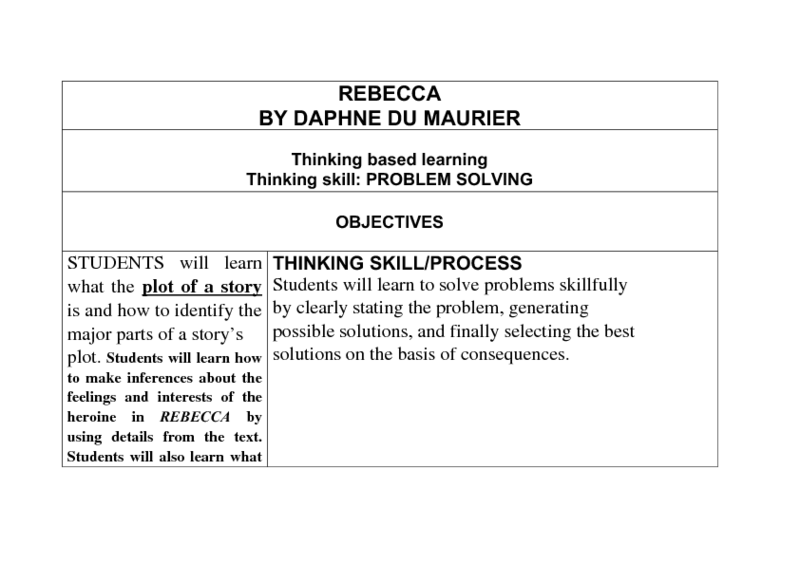 After reading the novel Rebecca by Daphne du Maurier the students will have to solve a problem the narrator faces. They will have to come up with a solution to the problem and work in groups. 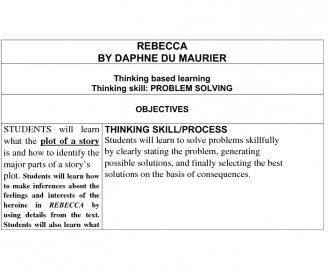 They should use a thinking map with questions to guide them through the process and at the end they should think about their thinking.